In the left part of the program's main window located Navigation Panel with the calendars and date and time information. For your convenience and better visualization, the dates, which have appointments scheduled, are marked with the bold front on the program's calendar. The right part is intended for showing the available information. In the top of the window, there is a main menu which can help you to access practically all functions of the program. Please note that Interactive Calendar displays appointments for the selected dates on the program's calendar only. This calendar supports multiple dates selection. The planned appointment can be transferred to any other day by dragging and dropping. 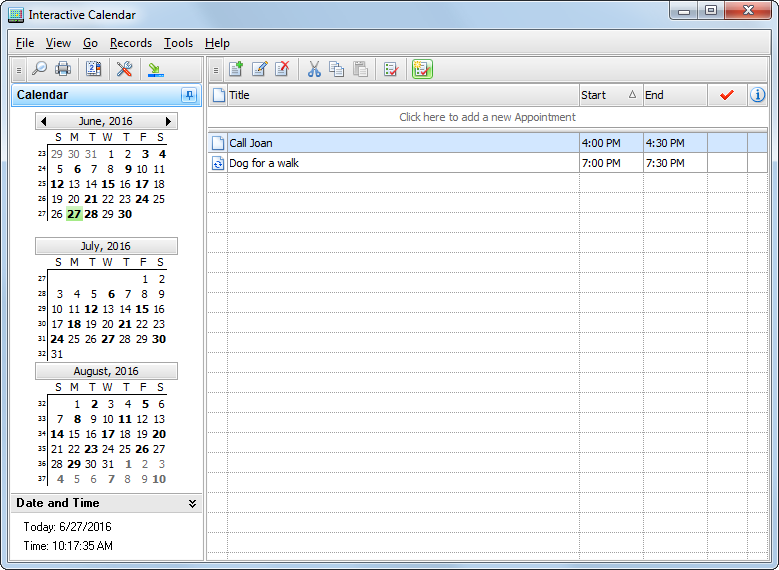 Just drag the appointment record to the desired date on the program's calendar using the mouse, and drop it. The appointment due date will change automatically. Also you can copy or cut any appointment and paste it into other date using an appropriate buttons on the program's toolbar, or shortcuts (Ctrl+C, Ctrl+X, Ctrl+V), or using the popup window commands. Every appointment can be set to repeat. You don't need to create the same appointment every time, just mark it as a recurring one. 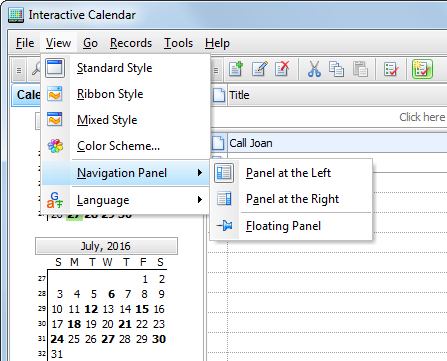 To match you expectations, Interactive Calendar provides extended recurring options. By clicking the button "Mark as Completed" you can mark any appointment as a completed one. To show or hide completed appointments click the "Show Completed" button. The expired records are displayed in the red font color. 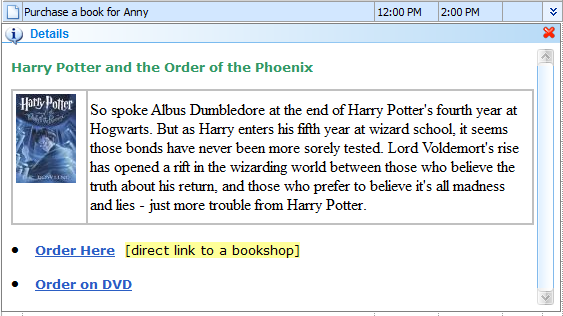 When appointment description is available, you can view it by pressing the following button: near the entry title. Each entry can be edited directly in the view area, you even can create a new entry by entering data in the upper row. All changes you made will be immediately applied to the Desktop Calendar.